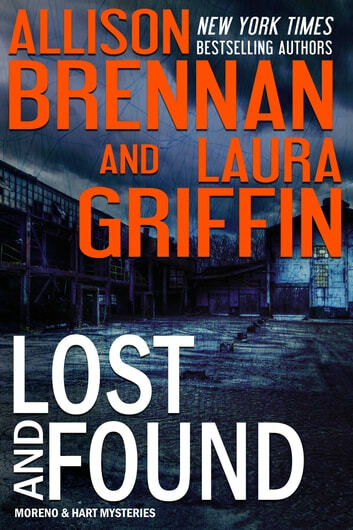 From New York Times bestselling authors Allison Brennan and Laura Griffin comes the next heart-pounding addition to the Moreno & Hart mystery series. Scarlet Moreno and Krista Hart’s P.I. business is teetering on the brink of failure when they land their next big case... and this time it’s personal. After digging for years into the mysterious shooting that cost Scarlet her badge and nearly her life, Scarlet has finally unearthed some answers. She thinks she knows who is behind the plot to murder her three years ago, but to prove her case she needs the help of a previously overlooked witness who seems to have vanished. Krista is on the job. 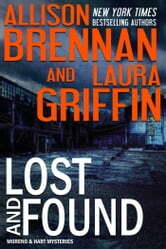 It’s the most challenging skip trace of her career, so she brings in the big guns—rival private investigator R.J. Flynn. While Krista and R.J. set out to track down the missing witness, Scarlet sets out on a dangerous quest for answers—starting with her former partner, who retired to Arizona. She trusts only Krista because everyone else is keeping secrets, including her boyfriend, Detective Alex Bishop. As Scarlet begins to unravel a shocking conspiracy, Krista hones in on the lone witness ... and someone close to both of them is watching their every move. With the clock ticking down and the body count rising, Scarlet and Krista realize this may be their last case ... because a vicious killer with everything to lose wants them both dead. Fast paced adventure ! Finding the true culprits was hard to discern . This thrilling book kept me guessing until the very end.I truly appreciate a book that keeps one from an anticlimactic ending that was predictable from 1/2 way through. Very well done. Intriguing. Didn’t wan to put the book down. Fast paced. Loved it.